There is a baby arriving in my family in time for Christmas. Which means there’s a baby blanket to be done before Christmas. I thought to knit my mum socks as her gift this year. Christmas is a ‘fixed’ deadline, where as a baby arriving on Boxing Day is NOT. Perhaps the baby blanket needed to be completed before the socks. I think I’ve made an error in judgement. Babies in my family arrive early… by about 3 weeks. But that’s ok, I still have a solid 4 weeks before I need to start panicking, right? So I decided to crochet a pram blanket for a change. 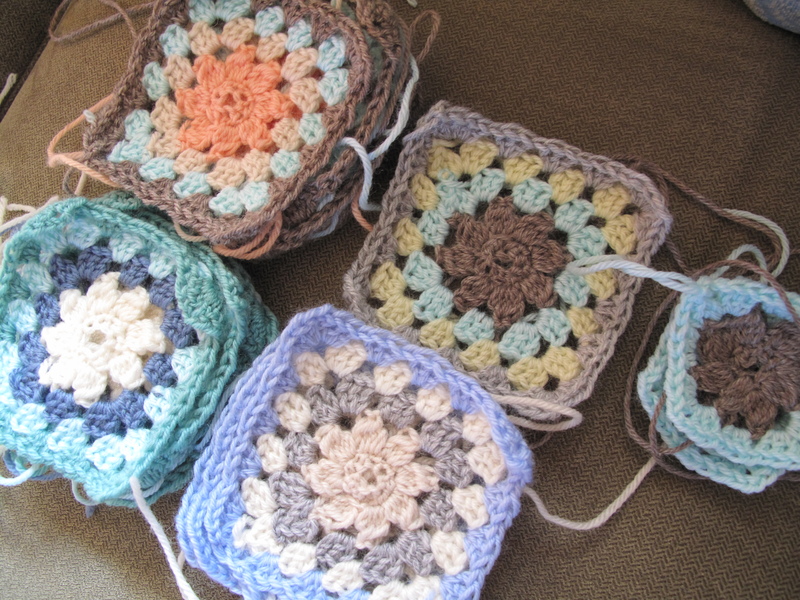 Lots of pretty little squares, with colours which change for every round. I’m not too good at this judgement thing. It’s going to be beautiful, that’s all I was thinking about when I decided to pick up the hook for this project, not the 1 MILLION ENDS I’ll be sewing in at the end. I’ve crocheted about half the squares already, so I’m on the way. I’m dying to cast on some new projects as well, this monogamous thing is killing me. Love the colours. The blanket is going to be gorgeous.